SAN DIEGO (Dec. 11, 2017) – California Veterans Legal Task Force, Father Joe’s Villages and Think Dignity, recipients of San Diego County Bar Foundation’s (SDCBF) Indigent Criminal Defense Fund, have reported results and success from the organization’s 2016 grant cycle. Collectively, the group has assisted more than 230 local homeless and veterans by working on over 450 cases and providing education to 100-plus San Diegans in need. Each nonprofit applied its funding, a total of $110,000, to provide legal defense programs to support Indigent Criminal Defense in San Diego County. The SDCBF’s Indigent Criminal Defense fund benefits organizations that deliver high quality and effective legal representation or programs that benefit accused people who cannot afford to hire an attorney. California Veterans Legal Task Force – $30,000 helped the nonprofit consult on 93 cases and secure criminal defense assistance for veterans facing charges. In many cases, with the help of a supported defense counsel, the organization assisted veterans diagnosed with psychological conditions stemming from their military service in receiving life-improving treatment. Father Joe’s Villages – $30,000 applied to fund the Homeless Court Program at Father Joe’s Villages. As a result of continued grant funding, the program supported 75 residents and helped dismiss 304 minor legal cases that may have pushed homeless defendants further outside society. Additionally, the Homeless Court Program assisted residents suffering from financial penalties. Grant funds were further used to conduct program outreach, host bi-monthly Homeless Court sessions, provide staff program training and more. Think Dignity – $50,000 supported Think Dignity’s “The Homeless Youth Legal Advocacy Project,” which provides homeless youth ages 14-24 with direct representation for criminal defense services. Grant funds supported 62 indigent clients with criminal defense needs and provided over 100 youth with interactive training surrounding criminal and constitutional rights. The nonprofit also successfully connected with over 43 community partners that can assist in getting local youth out of homelessness. 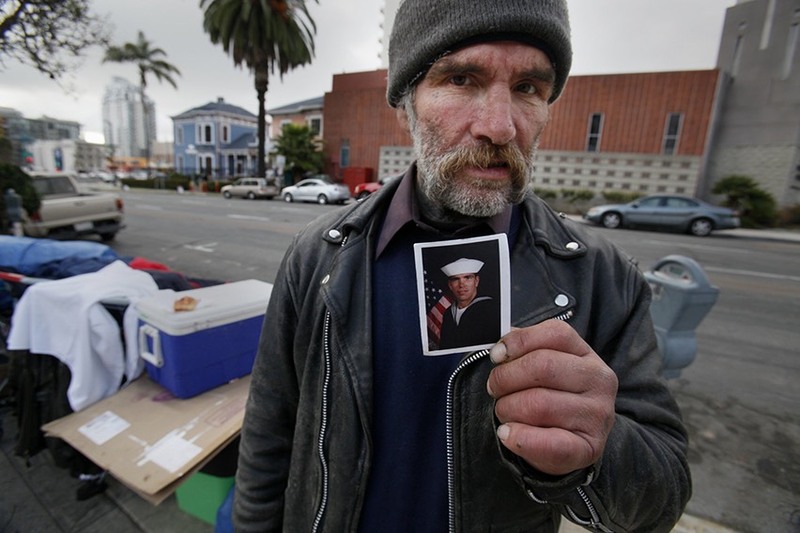 “With an extraordinary number of homeless people on our street right now, and a large portion of those veterans, the legal assistance, programs and support we are able to fund can be life-changing for these individuals,” said SDCBF President Micaela Banach. The SDCBF manages two funds, one that provides much needed legal resources to foster children and at-risk youth, the sick and disabled, the elderly, immigrants, and domestic violence victims to nearly a dozen local organizations every year, as well as its Indigent Criminal Defense Fund. The San Diego County Bar Foundation (SDCBF) is the charitable arm of the San Diego County Bar Association (SDCBA). Through this partnership with the San Diego County legal community, SDCBF aims to benefit underprivileged communities in the region, by providing them with access to support, funding and public service programs with legal services. The foundation’s beneficiaries include more than 50 legal aid and public interest organizations. No Replies to "San Diego County Bar Foundation 2016 Grant Recipients Support Indigent Criminal Defendants"